Being compliant is great, but it's not enough. Being able to build strong evidence of your data privacy practices is just as important. This is why we created public consent receipts, the documents that provide proof of data subject consent. Clym Consent Receipts are issued every time someone provides or withdraws his / hers consent based on Kantara Initiative’s standard and are published in a ledger where all transactions are cryptographically signed to avoid tempering. Within Clym, consent receipts are automatically generated for each consent action performed by users and synchronized between the privacy widget and the privacy center. Users can easily print or download them. Later, this consent can be transferred to partners if necessary. All consent receipts generated through Clym are stored in a Consent Public Ledger. 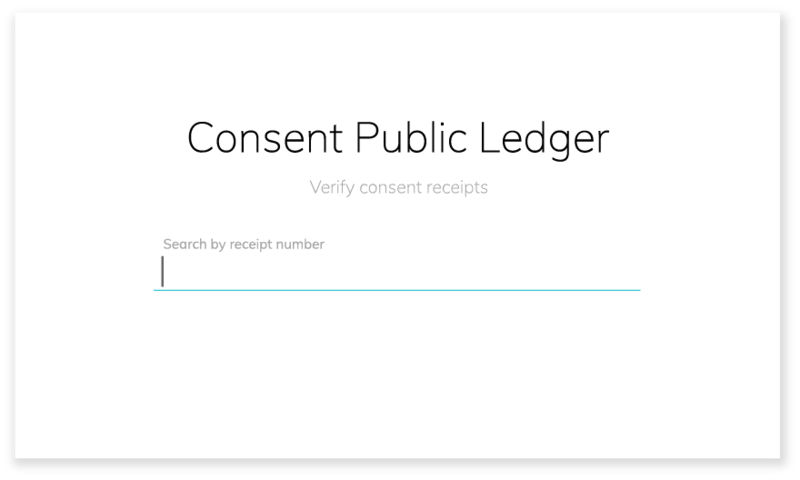 This ledger allows you, data subjects or third parties to easily verify consent receipts. A single view of consent.